Last week the Michigan Department of Health and Human Services released a report that suggests Flint, Mich., babies were not adversely affected by the lead-contaminated water flowing through the city’s pipes since 2014, which is in direct contradiction of a report last month that indicated there were higher numbers of fetal deaths during that time. The constant conflicting reports have left Flint residents confused and unsure of whom to trust. Angie Thornton-George, 50, has lived in the same house in Flint for 20 years. She has seen the conflicting reports, and she told the Detroit Free Press that she doesn’t trust the state. According to the Free Press, researchers from both studies have admitted that their findings need to be reviewed and replicated by other researchers. Marc Edwards is a professor with Virginia Tech University who helped expose the lead contamination in 2015, and he told the Free Press that both studies are valuable. The study Edwards references was conducted by David Slusky of the University of Kansas and Daniel Grossman of West Virginia University. 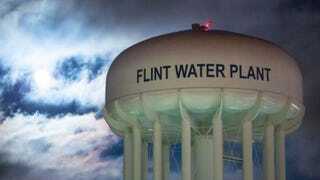 The study found that after April 2014, fertility rates in Flint dropped by 12 percent and fetal deaths rose by 58 percent. The analysis done by Michigan Health and Human Services found no significant increase in “adverse birth outcomes” in Flint. In a news release, the state said it was collaborating with the U.S. Centers for Disease Control and Prevention to put its study through a peer-review process that will either poke holes in its analysis or corroborate its findings. And there will probably be more studies in the near future, with results that will only add to the already mounting confusion of the residents of Flint. And while all of this is going on, please remember that the residents still don’t have clean drinking water. Where are the water protectors and protests for Flint?